Happy Friday everyone! Today I wanted to share a few of the highlights from the 2013 IAMPETH convention in Albuquerque, New Mexico. I cannot begin to tell you how fantastic it is! I’m learning lots of new things, meeting so many legendary calligraphers, talented artists and having the time of my life. If you are thinking attending, and have any questions, please send me a message. I have been a professional calligrapher now for ten years, and in a way, I am glad that I waited a little bit before attending this convention. First of all, it really is a test of your love and dedication to this art form. You are in class all day long from 8:30 a.m.-5 p.m. sitting at a desk and writing. There are events happening at night too. Because there are at least a hundred people in each class, you watch what the instructor is doing from an overhead projector, while taking notes, and following along with your own pen and ink. While IAMPETH is open to calligraphers of all skill levels I think one would benefit the most with some previous experience. 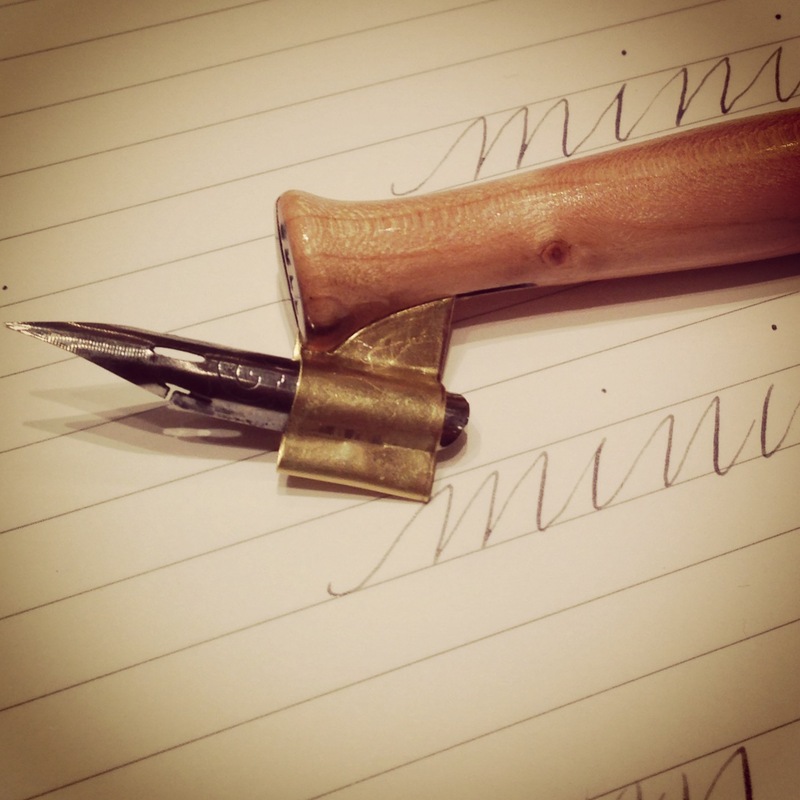 The first day I took a Beginning Spencerian class with the legendary Michael Sull and he is a treasure. If you google the word Spencerian his name appears. I showed up to the class with a plastic oblique pen in my tool box. During class he talked about having the proper tools which is applicable to any art form. The “plastic holders should be used to stir your coffee.”, he lectured (gulp). That day, I made an upgrade and purchased a wooden oblique pen holder handmade and adjusted by Mr. Sull himself. 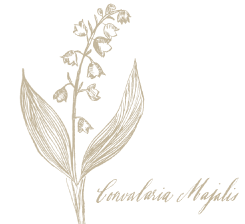 I am so glad that I had the proper tools because I noticed that it really did make a huge difference in my work, especially the next day when I attended Pat Blair’s Flourished Copperplate Capitals class. Pat Blair is the Chief Calligrapher at the White House. Her work is exquisite and perfect. It has to be. An added bonus to this experience was meeting Anne Keenan Higgins who is also attending for the first time. She has been my IAMPETH buddy and my saving grace. You have no idea how excited I was to find out that Anne was attending this convention and has made this first time experience here even more memorable. I have been a fan of her work for so many years. If you don’t know her illustration work, you have probably given or received a card, perhaps may have read a book with her beautiful artwork on the cover. When I asked Anne how she found out about IAMPETH, she said that it was from reading Tristan’s Besotted blog. 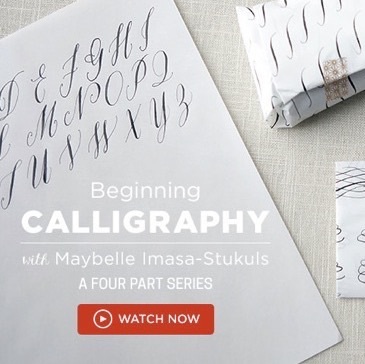 Coincidentally, my calligraphy kit was featured on her blog post today. 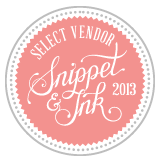 I am so grateful for this and for my career as a calligrapher. I hope you are having a week. I am having THE BEST WEEK. EVER. xoxo, M.
Lol, that’s funny, to stir your coffee with. I have found that more and more I like the oblique pen, it helps me with the slant. I can’t wait to hear everything!